“It is the memories of greenery that laid the foundation for my love for nature and Garden Art,” reminisces Subhashini about spending time with her grandparents in their house with sprawling gardens every summer holiday. Her connection from gardens and nature began there. 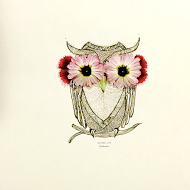 And today, she is the garden art creator who makes everything from a portrait of Audrey Hepburn, to a bird to a picture of Native American to Shaun the Sheep using flowers, leaves, and everything that gardens have to offer. 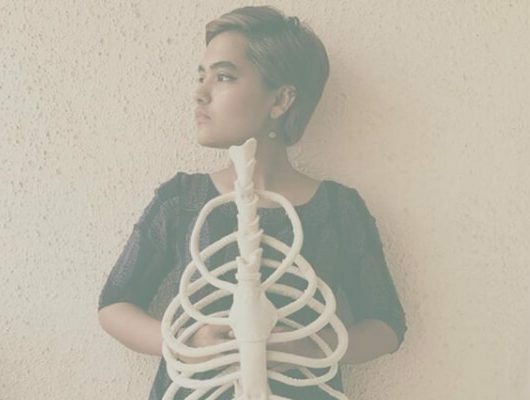 Born and brought up in Chennai and currently staying in Bengaluru, Subhashini has a creative bent of mind that manifests itself in the poetry she writes as well. 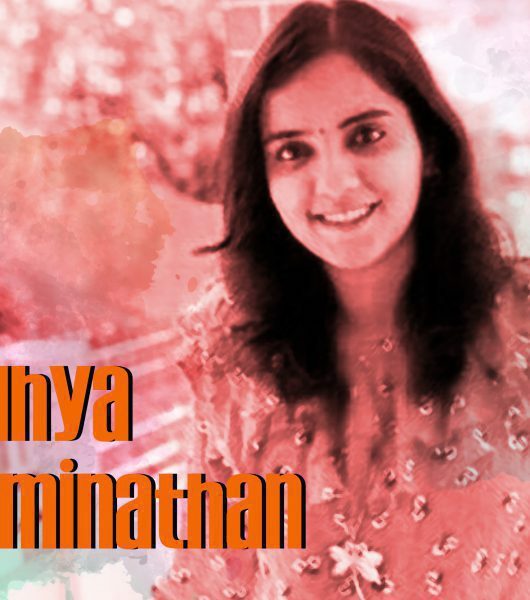 Her poems have been published in the prestigious journal, Taj Mahal Review and some of them were translated into Tamil and an initiative called “The Paintbox Chennai” painted them on the walls of Agri Horticulture Society at the Cathedral Road in Chennai. Garden art is visual poetry, I strive to bring out that feeling of extravagance with an economy of materials. While poetry writing was her love, gardening was something that made her really happy. “It has been a fascinating experience to watch the garden grow with time and seasons. A sense of wonder fills the heart when surrounded by nature. Flowers speak to me. A withering flower and a fresh one next to it have their own stories tell. To the world it may be the same red, white or yellow coloured flower that blooms every day, but each one of them appeal to me in a unique way. 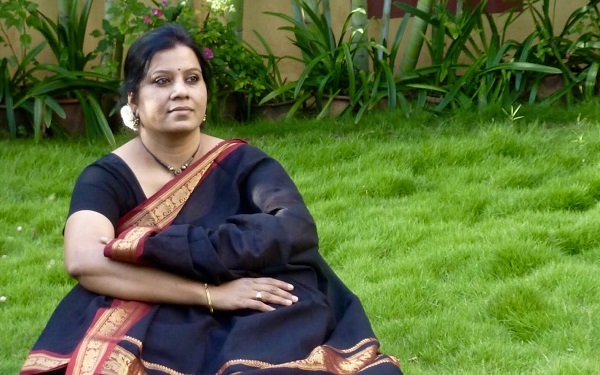 I stop and listen to them,” said Subhashini who has a garden in her house with couple of trees, a vegetable patch and nearly a hundred varieties of ornamental and flowering plants. 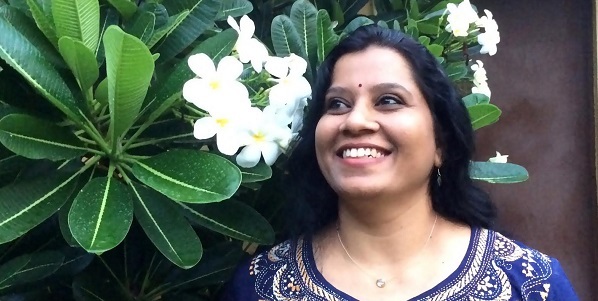 A friend of hers calls the flowers, plants and trees her green children, says Subhashini smiling. 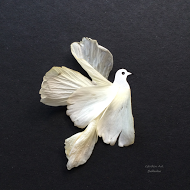 While curating her garden, Subhashini would many a times notice that the folded petals of a white hibiscus would look like the wings of a bird, while some would resemble a woman in haute couture. Some rare days they would look like a peacock to her. In those time, she just took pictures. 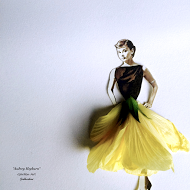 So when actually Subhashini started putting flowers together to make art out of it? “It just so happened that one evening I was sketching a woman’s face. I stopped for a while and went for a stroll. Found the pink bougainvillea flowers strewn on the pathway. I took a few and came back to the board. 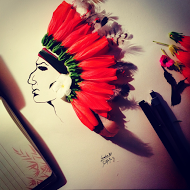 Instinctively I placed the white flower on the nose as a nose ring. The flower sat smugly there. It was a fantasy come true moment and that was the beginning of Garden Art.” It was in January 2015 when she stumbled upon garden art. After that many ideas fell into place for her and she found an artistic outlet to her imagination. But it hasn’t been an easy task for her, considering that flower petals lose their freshness in a few hours. It’s a race against time for Subhashini to think of an idea and complete it with all the essentials such that everything stays fresh and then take a picture of the art in perfect lighting. She hasn’t showcased her art anywhere as of now even after getting requests because she feels she doesn’t have enough yet. What she gets from curating garden art is “Joy! Joy that nothing else can equal. When people write to me that my art work has brightened their day, my heart is filled with happiness. 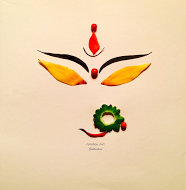 What else can an artist ask for,” exclaimed Subhashini whose inspiration comes from within. Something has to stir the heart and find its way to become art is what she says about that thing called inspiration. Well, this surely inspired us!